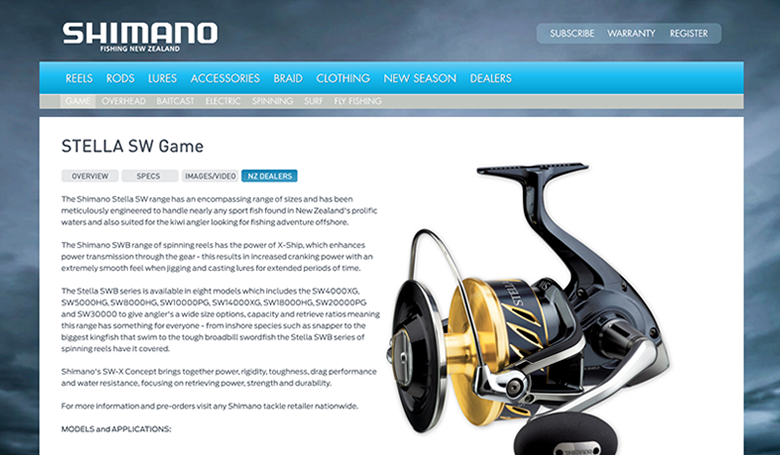 Website Projects • Our Work • Client : Shimano New Zealand. E-commerce + Retail, Catalogue, Distributor, Responsive, Company + Profile website developed by TANK Web Supply, Auckland, New Zealand. The good guys at Shimano asked us to develop their New Zealand website interface. We designed a series of UI mockups and then built a stunning, fully-featured website, recently reskinned in 2017. The results speak for themselves – occupying pole position on Google search.